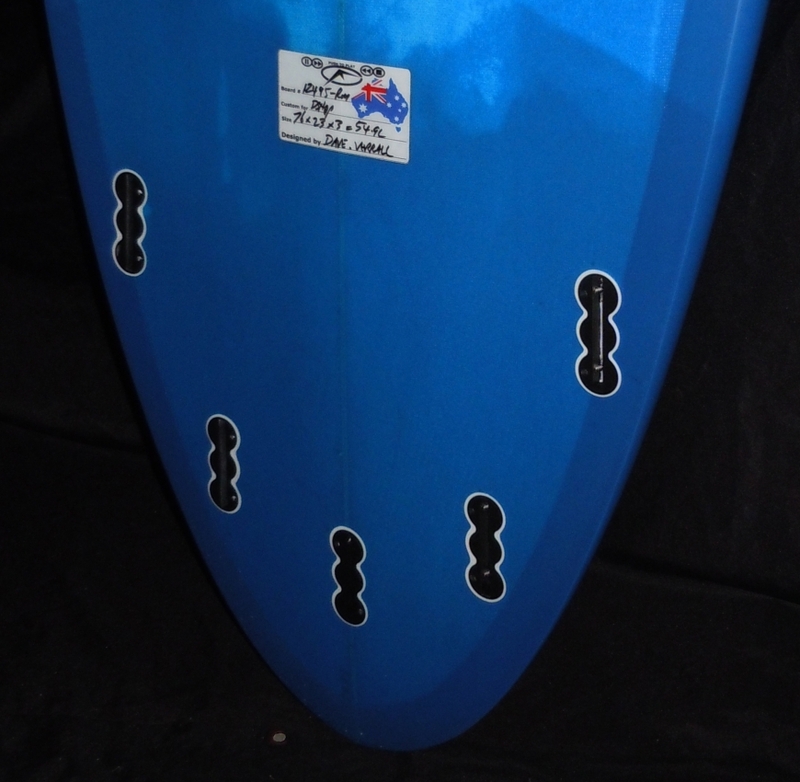 This board is epoxy, its really light and got a couple of crazy features. The deck’s scooped out and there’s a slight concave under your front foot. Having no stringer, you can kinda feel it spring you in and out of turns and I think thats definitely a positive thing. My first surf on this board was in kinda small conditions but it was actually really wedgey and punchy, so I could pick up a few things out of that surf. One was that it sprung out of turns really well. It felt really positive and lively and thats normally something I look for in a good, fun short board. I think it would probably be suited to more general beach breaks in Australia, where you wants to get a bit more out of your surf. 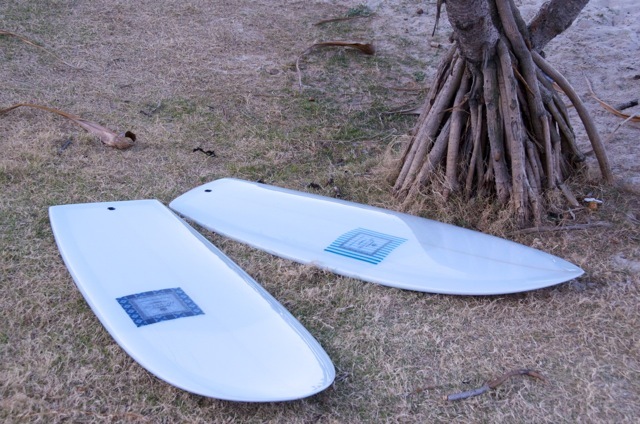 Its a high performance board, I’ve got no doubts about that, and its got some features that really serve their purpose. Asher was surfing a 5’6 x 19 1/4 x 2 1/4 Dynocore Racing mullet with 25 liters, its one of our most popular shapes for someone looking for a good all round shortboard. 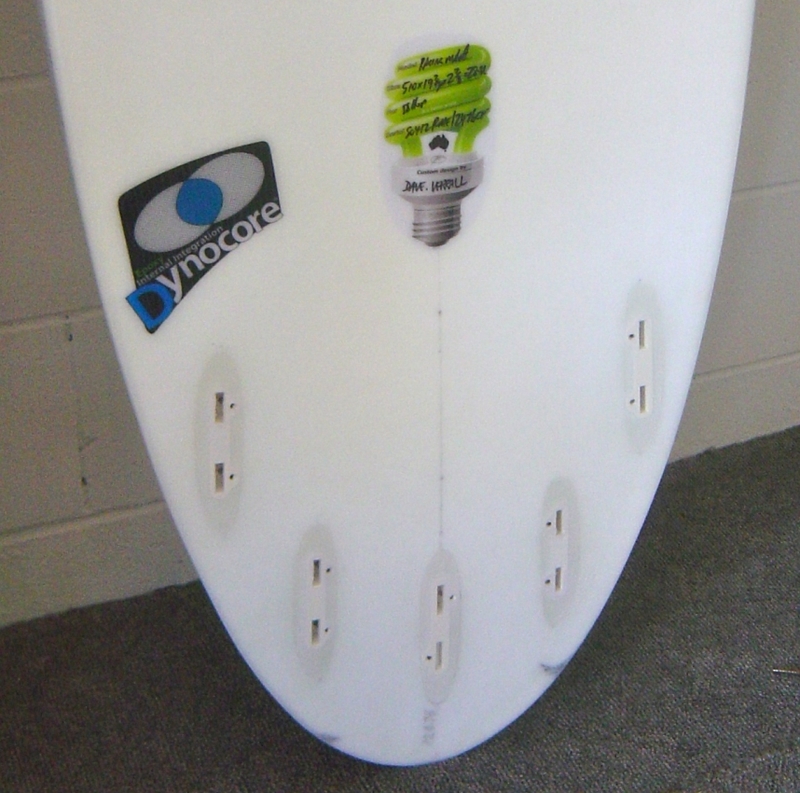 Its a great beach break groveler and lights up when put in good conditions. Combine this with the extra durability, spring and speed you get out of turns from the Dynocore construction and you can see why we cant keep up with the demand for this particular model. The board Asher rode will be available in store for demo for the next few months, so come and take it for a ride and see for yourself what the hype is all about, once you feel that extra spring from a turn you wont go back to your standard board, guaranteed! I dont need to say anything about these boards, the pic says it all!